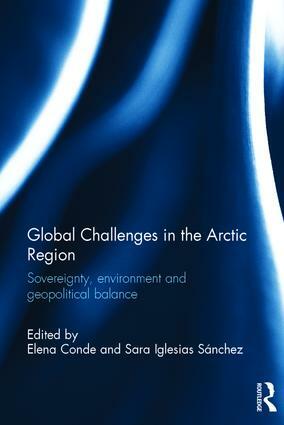 Bringing together interconnected discussions to make explicit the complexity of the Arctic region, this book offers a legal discussion of the ongoing territorial disputes and challenges in order to frame their impact into the viability of different governance strategies that are available at the national, regional and international level. One of the intrinsic features of the region is the difficulty in the determination of boundaries, responsibilities and interests. Against this background, sovereignty issues are intertwined with environmental and geopolitical issues that ultimately affect global strategic balances and international trade and, at the same time, influence national approaches to basic rights and organizational schemes regarding the protection of indigenous peoples and inhabitants of the region. This perspective lays the ground for further discussion, revolving around the main clusters of governance (focusing on the Arctic Council and the European Union, with the particular roles and interest of Arctic and non-Arctic states, and the impact on indigenous populations), environment (including the relevance of national regulatory schemes, and the intertwinement with concerns related to energy, or migration), strategy (concentrating in geopolitical realities and challenges analysed from different perspectives and focusing on different actors, and covering security and climate change related challenges). This collection provides an avenue for parallel and converging research of complex realities from different disciplines, through the expertise of scholars from different latitudes. 2. Why and How to Study Arctic Law? 13. Climate Change Induced Displacement: Migration as an Adaptation Strategy also in the Arctic? 22. Chinese Arctic Science Diplomacy: An Instrument for Achieving the Chinese Dream? Elena Conde is Associate Professor of Public International Law at the Universidad Complutense de Madrid, Spain. Sara Iglesias Sánchez is Référendaire at the Court of Justice of the European Union, Luxembourg.